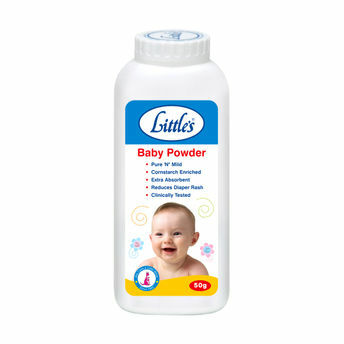 Keep your baby neat, tidy and fresh all day long with the Little's Refreshing Baby Powder. It Provides additional protection against wetness and keeps baby's skin soft, smooth and dry for longer periods of time. It is Cornstarch enriched & extra absorbent which helps prevent diaper rash. Provides additional protection against Wetness. Keeps baby's skin Soft, Smooth and Dry for longer. Explore the entire range of Creams, Lotions & Oils available on Nykaa. Shop more Little's products here.You can browse through the complete world of Little's Creams, Lotions & Oils .Alternatively, you can also find many more products from the Little's Baby Powder range.